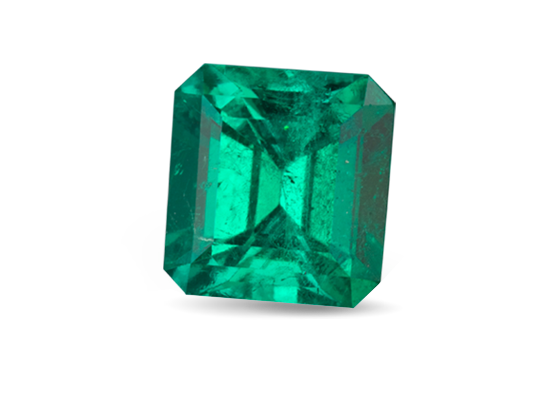 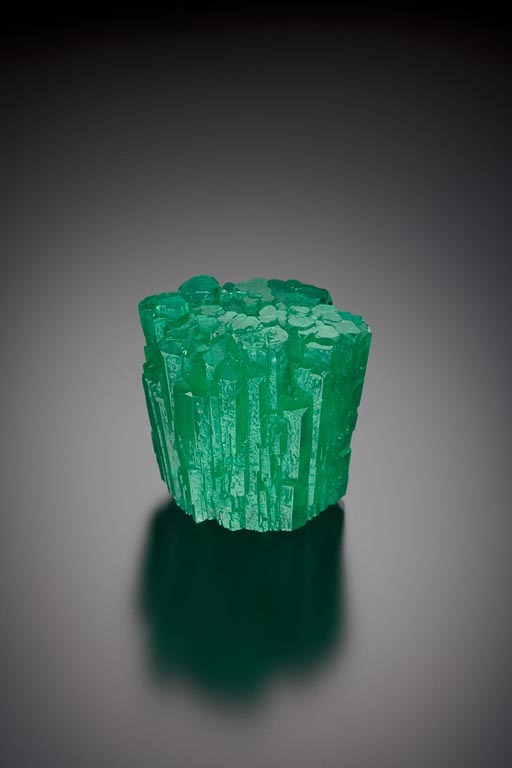 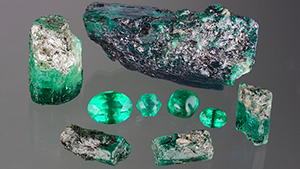 Highly saturated green colour defines high quality emerald. 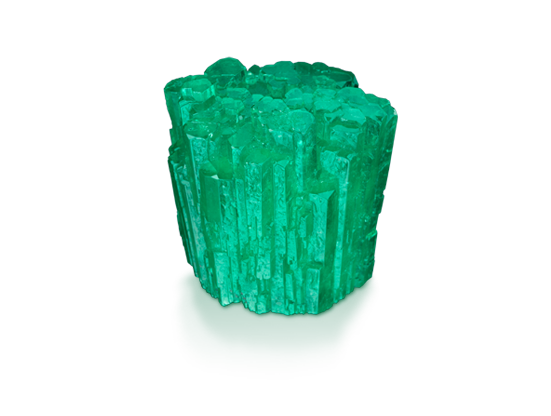 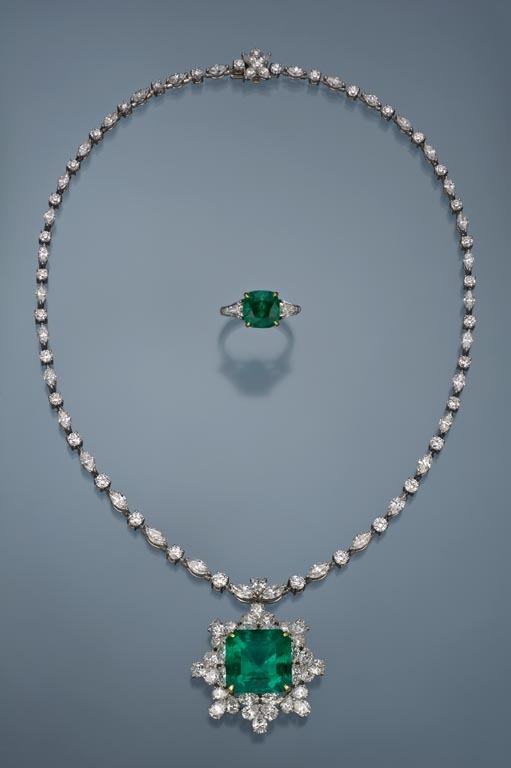 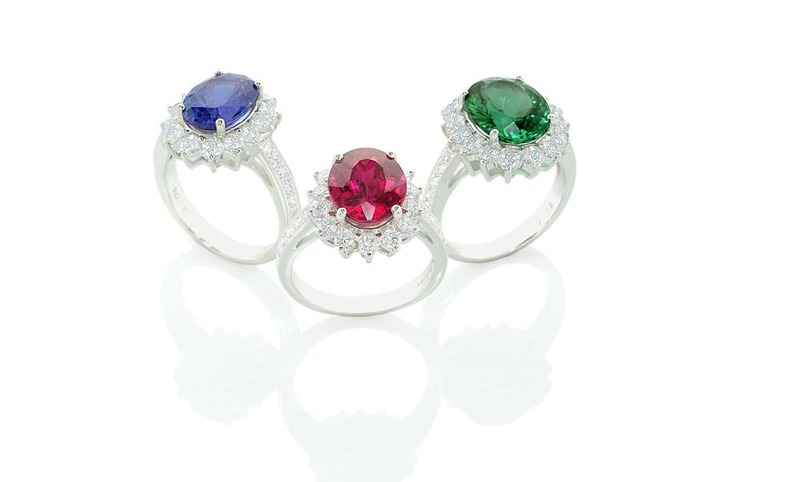 Emerald cuts have concentric parallel rows of facets and bevelled corners. 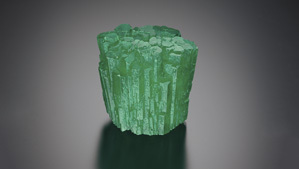 The best colour is usually perpendicular to the top of the crystal.